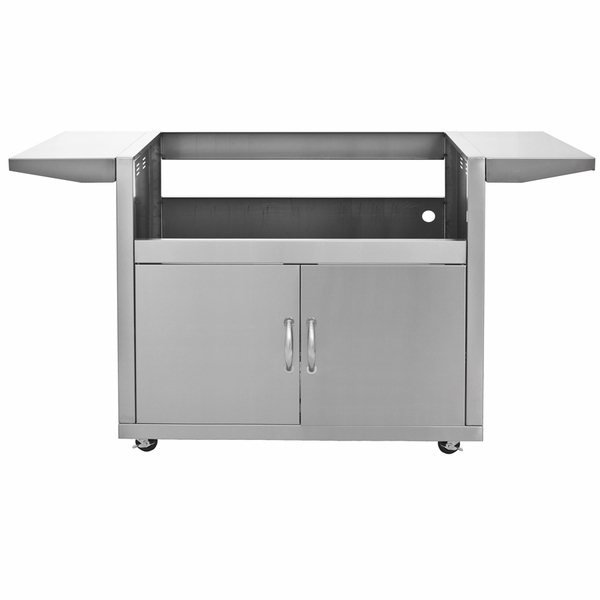 This Blaze grill cart, made to fit their 40-inch, five burner grill model, offers you incredible convenience, even with its rather large size. In fact, it uses its size to its advantage, offering substantial space for storing anything from grill cleaning supplies to your gas tank. 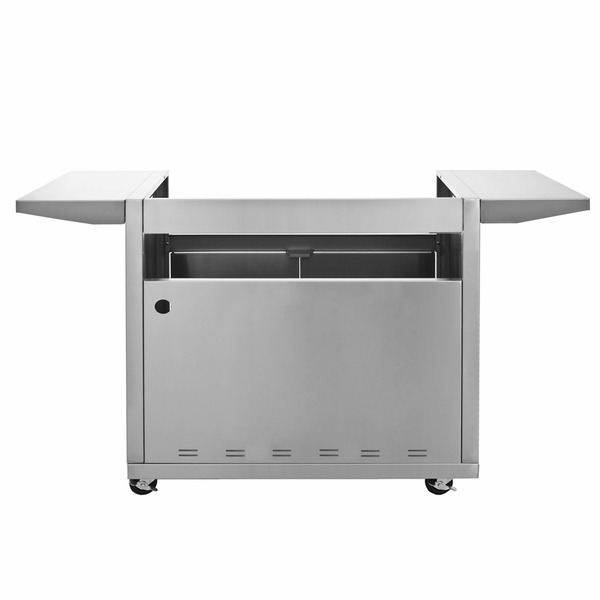 With two side shelves, the cart also gives you ample work space for additional food prep while you are grilling, and its construction (it is made of stainless steel) will hold up well even in harsh outdoor conditions. 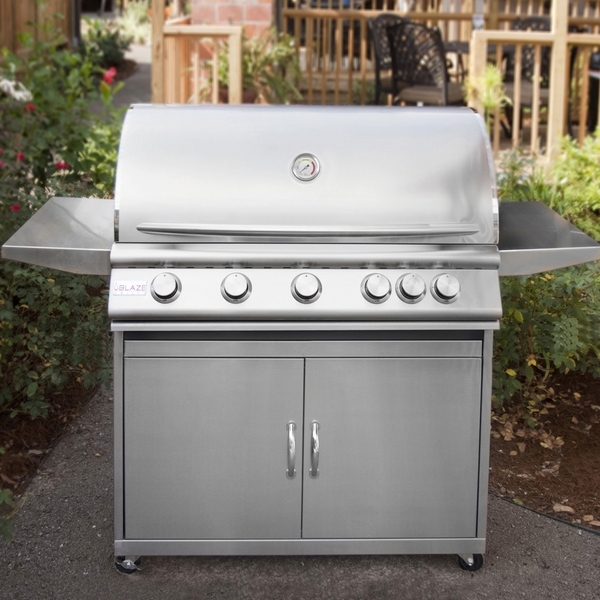 Moving your grill between locations will be easy as well, thanks to four heavy duty casters.